If you are into ‘rustic’ and antique style furniture, you are going to LOVE these gorgeous reclaimed wood dressers and bedroom chests! 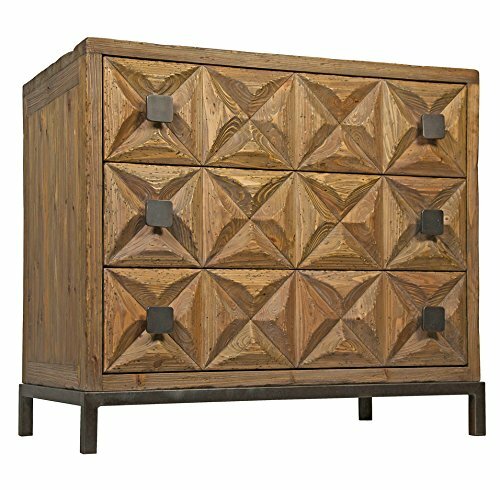 *How cool and very unique is this oversized reclaimed wood 3-drawer dresser with a fun geometrical pattern for sale? Reclaimed wood furniture is exactly what it sounds. Furniture pieces made using reclaimed lumber from timbers and decking rescued from old barns, factories, warehouses and even boxcars, coal mines and wine barrels! Many people love the ‘unique one-of-a-kind’ look of an authentic reclaimed wood furniture piece such as these reclaimed wood dressers and chests! They are also environmentally friendly and each piece is very original! My Favorite Reclaimed Wood Dressers! 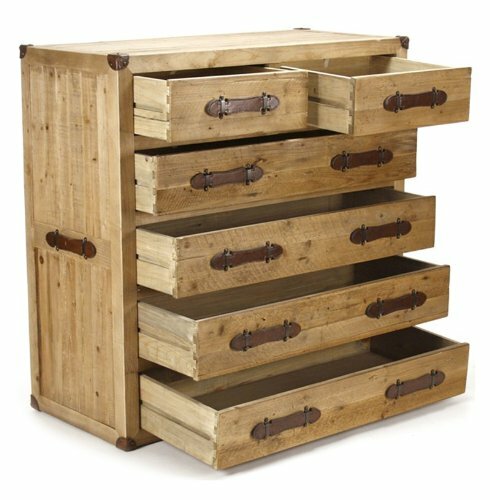 This is a beautiful, very sturdy and definitely very rustic reclaimed barn wood 5-drawer bedroom chest! Love this gorgeous dark color! I also love this unique ‘weathered’ look! Perfect to have in a mountain lodge or country house! 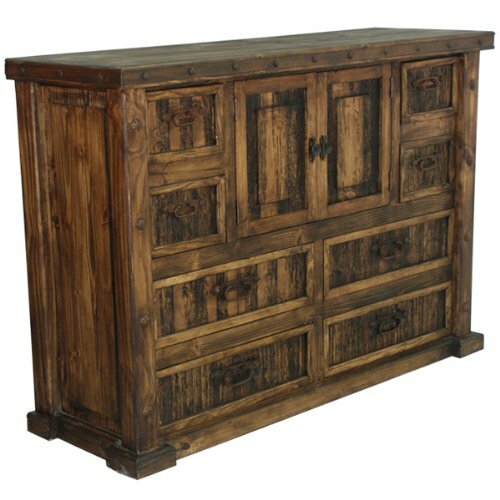 This is a very unique dark walnut hardwood dresser with reclaimed wood panels that has 8 drawers and two doors! This dark walnut finish is absolutely gorgeous! 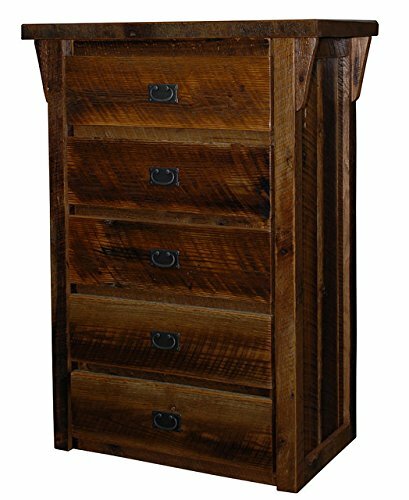 If you are looking for a rustic reclaimed wood tall chest of drawers for your bedroom, I think you are going to love this one! It is painted in a very cool ‘antiqued turquoise’ color! Very charming and unique piece! Another favorite of mine is this nice rustic style reclaimed natural pine wood 6-drawer dresser for sale! This is the perfect ‘rustic meets modern’ gorgeous reclaimed wood dresser! The six drawers are very roomy and the whole piece is very sturdy! 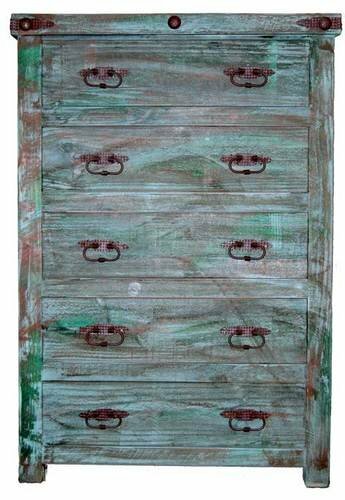 I would say this is a very cute reclaimed wood 5-drawer dresser with painted drawers! It also has a nice dark walnut finish. I love this antique style look, specially the drawer pulls! Ok, this is probably one of the most unique and creative looking reclaimed wood chests ever! 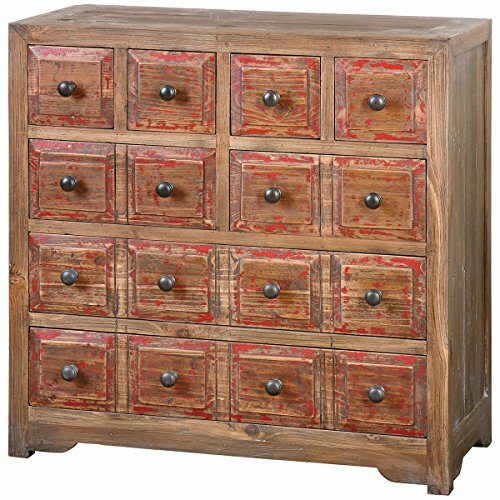 It has a gorgeous and fun ‘broken-away’ aged red paint finish and fun drawers with dark antique bronze drawer pulls! 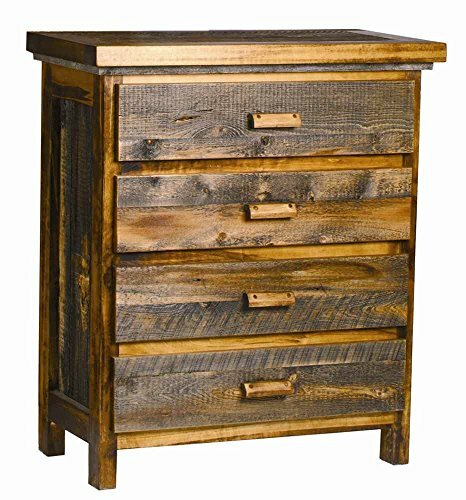 If you are looking for an environmentally friendly, reclaimed wood 6-drawer dresser with dovetail drawers for your bedroom I think you are really going to like this one! It has a gorgeous aged dark bronze finish! All handcrafted and very durable. The size is also perfect for a small bedroom! 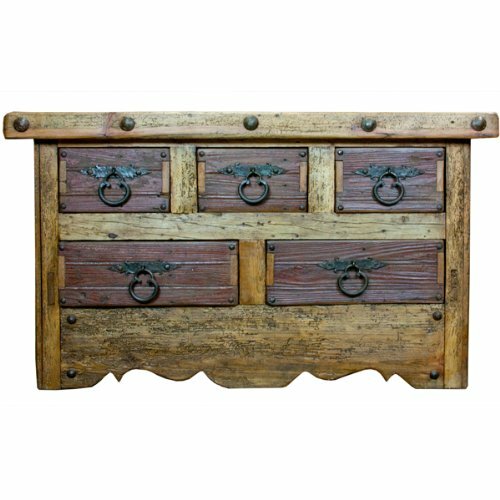 This is a fancy rustic solid reclaimed pine wood dresser with unique vintage cigar leather drawer pulls! The drawers are large and deep! 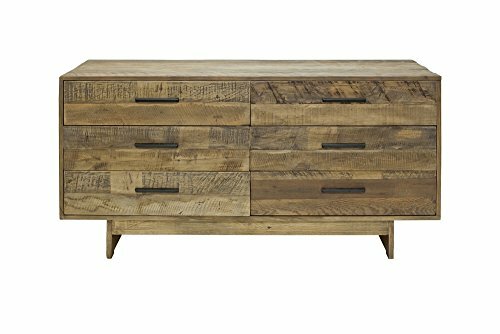 And here I found this beautiful and very rustic looking 4-drawer reclaimed wood chest for sale! Great to have in a guest bedroom! It was all handcrafted as well and it also has high-quality roller glides and dovetail drawers. 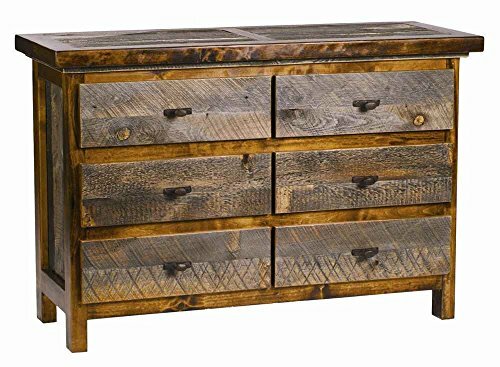 *I hope you enjoyed my selection of rustic looking reclaimed wood dressers for sale on this page and were able to pick one for your bedroom!